Mark it to-read on Goodreads. "A worthy, page-turning debut that will keep readers guessing until the end. Readers of Liane Moriarty and psychological thrillers will not want to put this down." "Engrossing. Klehfoth's ability to draw in the reader shows that she's an author to watch." "Fans of thrillers will have difficulty putting down this excellently plotted, gripping novel." "A compelling mystery. The story of a long-game revenge played out between generations." 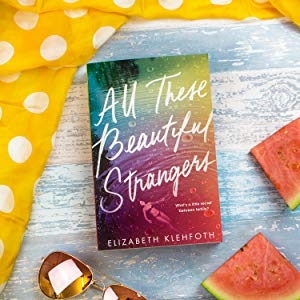 "This debut mystery gives readers a fun glimpse into the scandalous world of high-society boarding school and is reminiscent of Curtis Sittenfeld's Prep (2005)." is caught up in a dangerous web of lies and deception involving a secret society in this highly charged, addictive psychological thriller that combines the dishy gamesmanship of Gossip Girl with the murky atmosphere of The Secret History.